on the American Livestock Conservancy's priority endangered list. 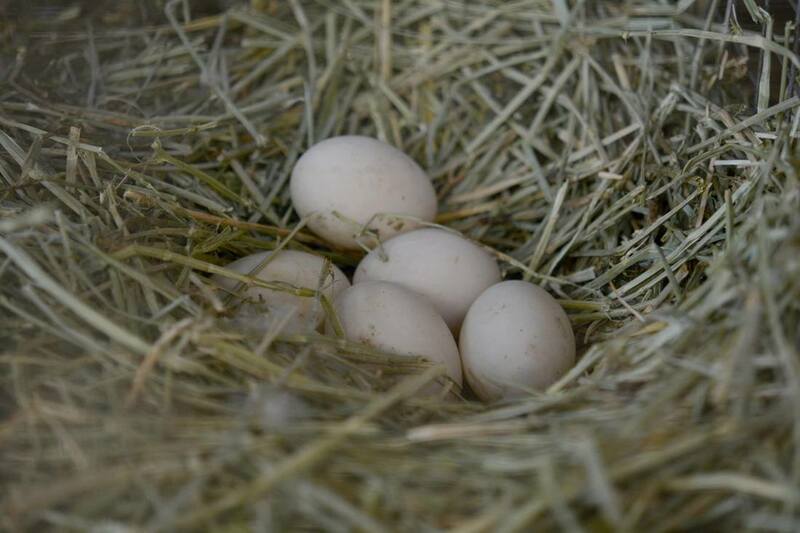 Our Welsh Harlequins, Cayuga, Blue Swedish ducks and American Buff Geese are listed under Watched. Meaning there are fewer than 5,000 breeding birds in the United States, with ten or fewer primary breeding flocks, and an estimated global population of less than 10,000. In the next year or two I plan to start hatching babies from our Welsh Harlequin ducks and American Buff Geese and selling them. I also plan on adding a breeding pair of Dutch Hookbills to our flock and start hatching and selling them as well in the next few years. We brought home our fist three ducklings March 4th, 2014. Our second group of three April 6th. And our third group of 4 ducklings and 4 goslings July 6th, 2016. I had wanted ducks for quite some time, but up until then I've never had any. When I brought them home we didn't even have a coop built for them yet. They needed to be in a warm environment anyway so they stayed in the house until we had their coop complete. Despite being outside for over three years now they still waddle on into the house like they own the place whenever I leave the back door open. And if it's not open they waddle up to the back door and start tapping on it with their bills until I open it and give them treats. Their favorite food is Watermelon and Cheerios. They get fresh fruit and greens from our garden and my parents garden. 50¢ per egg or $3 for half a dozen!